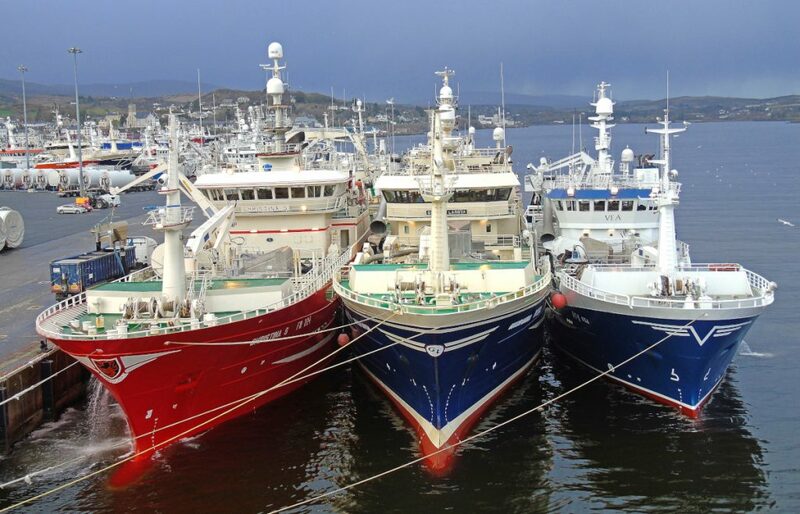 Some 50 vessels, including over 30 midwater trawlers, took shelter in Killybegs harbour last week from a prolonged period of severe weather, as Storm Gareth battered the west coast of Ireland with northwesterly gales in excess of 50 knots for three days, reports David Linkie. 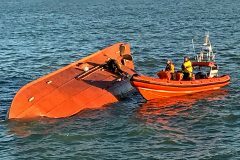 The severity of the weather also led to the unusual sight of 10-plus midwater trawlers, mainly Icelandic and Faroese boats, forced in from the blue whiting grounds to the west of Ireland, dodging for three days in Inver Bay northeast of St John’s Point. Adalsteinn Jonsson, Beitir and Havskjer dodging winds in excess of 50 knots in Inver Bay. The 94m Icelandic-owned Adalsteinn Jonsson (ex Libas) was the biggest vessel tucked in behind St John’s Point, together with Beitir (ex Gitte Henning), Venus, Vikingur, Sigurdur, Katrina Johanna, Birkland and Borkjur. 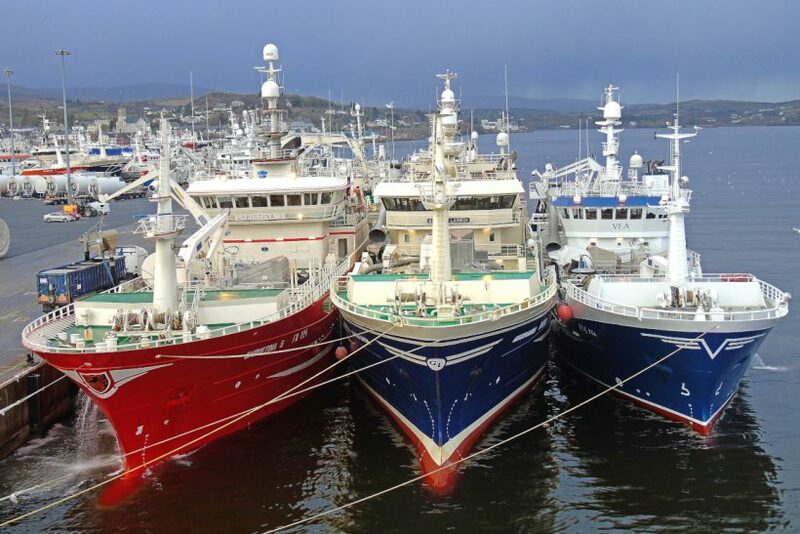 The new Gitte Henning took shelter from Storm Gareth 300 miles to the north, berthed in Stornoway harbour, where the Norwegian midwater vessels Havstaal (ex Serene) and M Ytterstad also took refuge. 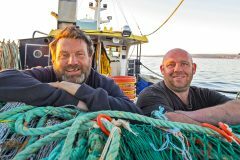 As the severe gales began to moderate on Thursday morning, the first boats left Killybegs to resume searching for marks in a still-heavy North Atlantic swell.